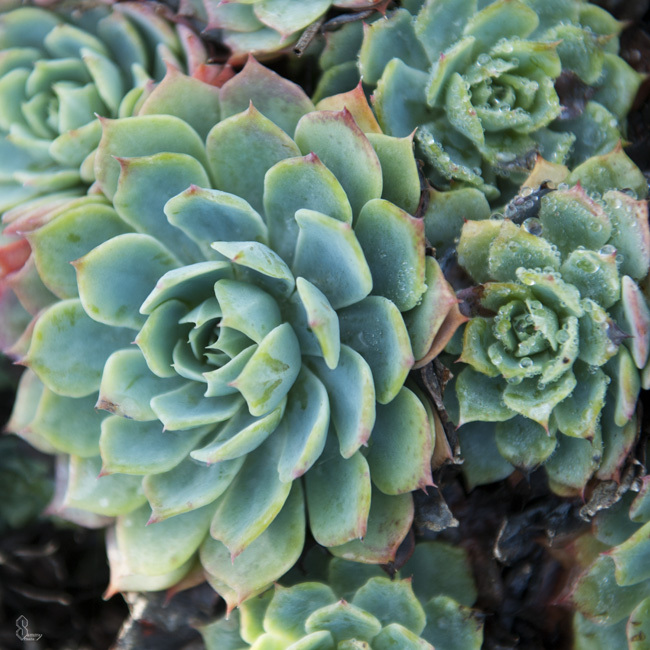 Fresh dew drops on this aeonium urbicum succulent makes for quite the picturesque plant. Succulents can change shades of color quite easily in the right sun light. 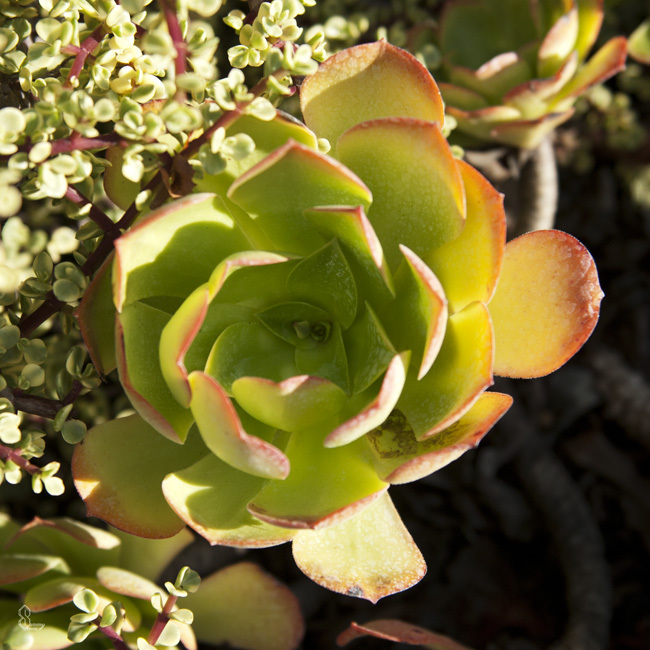 My favorite part about this plant is the extreme gradient it offers from light green to a vibrant red. 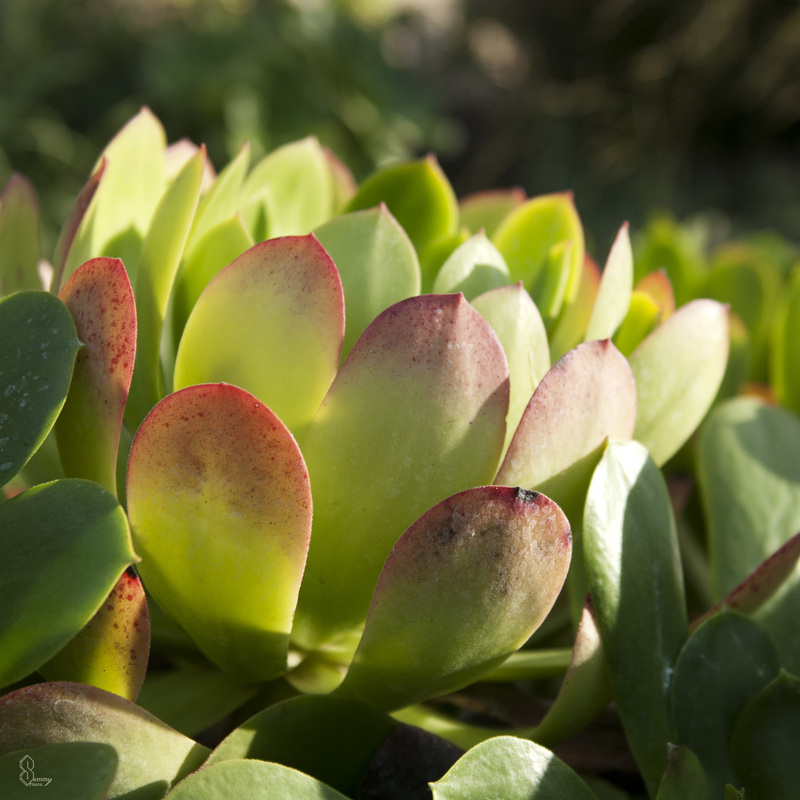 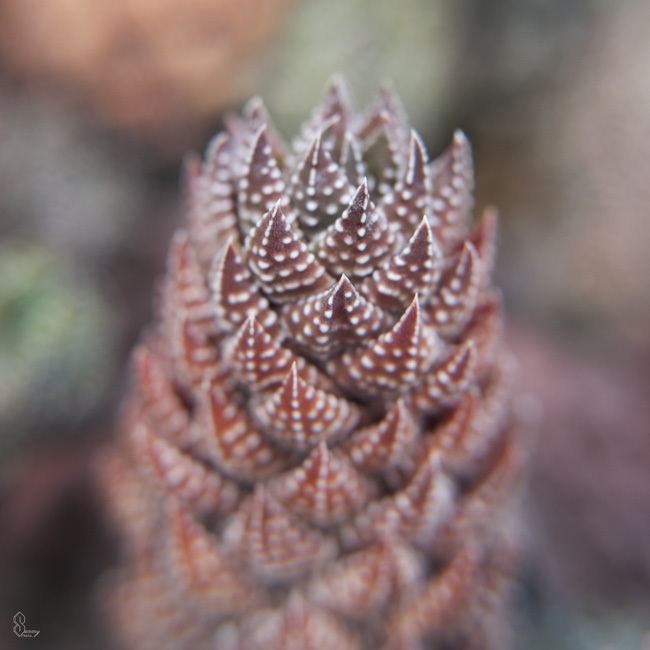 This plant is the silver stone succulent, a very memorable and unique part of the succulent family.